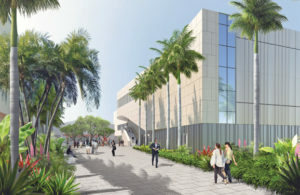 In October, construction began on Artis-Naples’ 8.5-acre Kimberly K. Querrey and Louis A. Simpson Cultural Campus. 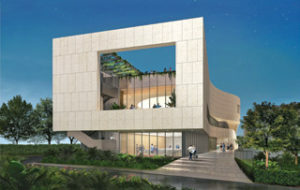 The repair and expansion of The Baker Museum-the first project of the visual and performing arts organization’s Master Plan -will be completed in November 2019. The project entails both repair of The Baker Museum building’s facade (necessitated by Hurricane Irma in September 2017), and the expansion of the facility to the south with an improved entrance, event and educational spaces, and the addition of museum-support areas. Steadfast patrons anxiously await what the future holds for The Baker Museum and the adjacent courtyard. Recently released renderings by Weiss/Manfredi Architecture/Landscape/Urbanism provide a very real and colorful glimpse of what’s in store. The images reveal The Baker Museum’s new curved exterior that will be clad in stone and metal with a design that ensures resistance against future storms. There will also be a new entrance, allowing for a larger lobby, relocation of the museum store and museum ticketing in the lobby. The first floor gains a space for lectures, rehearsals and educational programs. The monumental exterior stairway leads to the new second floor flexible event space. Another exciting addition is the planned rooftop terrace which will provide views to the west. Each piece of the expansion is designed with Artis-Naples’ interdisciplinary mission in mind-providing maximum flexibility for artistic exploration. “Imagining the new spaces as they are filled with patrons, musicians and visual artists is extremely gratifying. 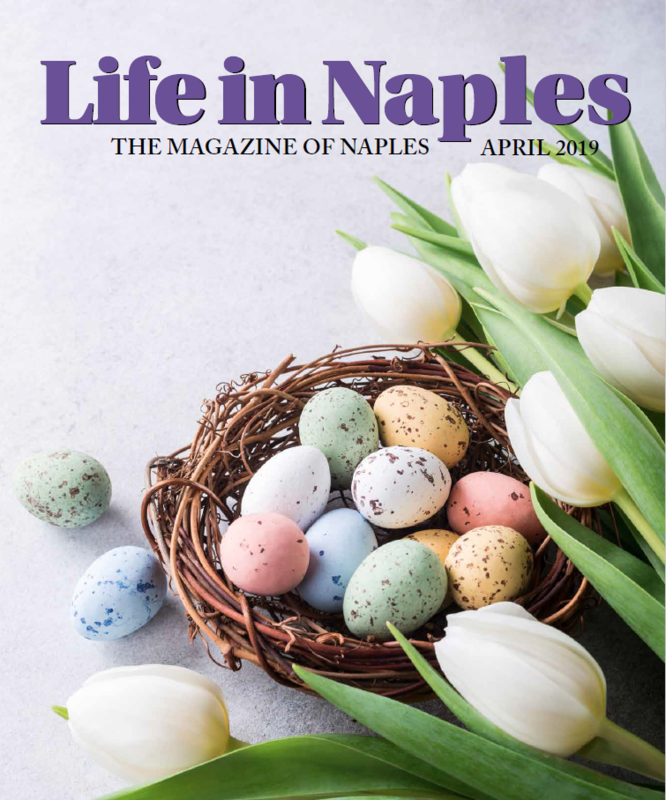 It begins with a shovel in the ground and culminates with an enriching experience of art,” said Artis-Naples CEO and President Kathleen van Bergen. (through January 6) includes selections attesting to the keen eye of the late Bryna Prensky, an artist and former gallery owner who lived, studied, and worked in Mexico City for more than 25 years. Isabelle de Borchgrave: Fashioning Art from Paper (February 2 through May 5) presents the full breadth of Isabelle de Borchgrave’s exploration of historical costume through the artful folding, crumpling, painting and sculpting of paper. Philip Haas: The Four Seasons (through June 21) is a monumental, outdoor sculpture set inspired by Giuseppe Arcimboldo’s paintings of the same name featuring 14-foot-plus human busts made from vegetables; fruit; branches; leaves; ivy; and moss. vibrantly colored acrylic sheets are arranged alphabetically according to their French names. This installation is designed especially for Artis-Naples’ cultural campus.